With this week seeing the half way mark for some of our venues, the countdown to the much anticipated Summer league is on. 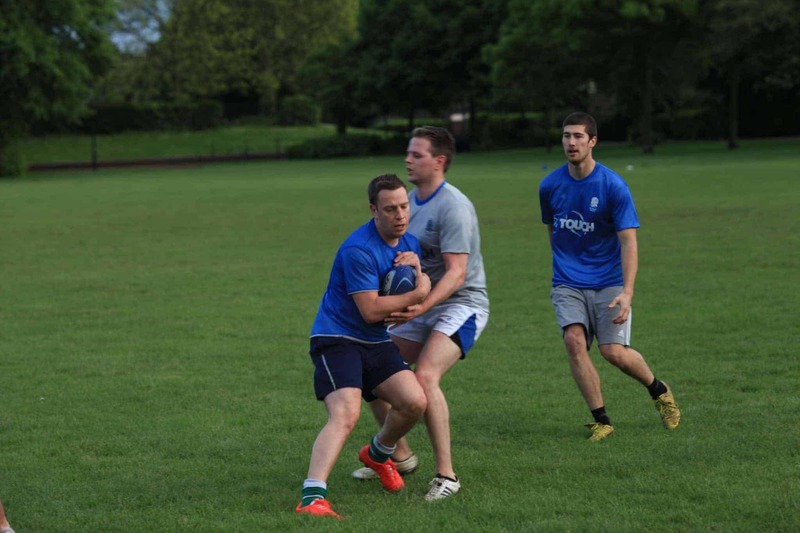 With 7 venues across London, playing across 4 evening weeknights, there is no shortage of Touch to be involved in. Well, after the amazing end to last week and the weekend – Summer is definitely around the corner. 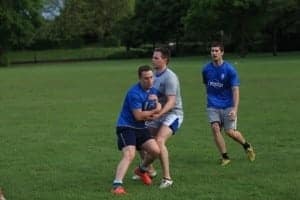 Along with the many social leagues and divisions we have running, the highest level of Touch to be involved in is our SuperLeague competition at Putney/Wandsworth. This competition is held at King Georges Park, and each week displays some of the best players in England and their abilities. With a Men’s, Women’s and Mixed Divisions – the skill and talent on showcase is next to nothing. With many old rivals taking part in our mixed league, each week is sure to create some elite team play. From the 10 teams we have competing in the mixed SuperLeague, 8 of them compete in either the National Touch Series (NTS) or Championship Touch Series (CTS). The NTS is the highest level of touch competition that runs annually in Europe (and look how many O2Touch players are playing in it!). Those 8 teams competition are only our London based teams as well, as many of the other O2Touch venues across England will also have a team competing. Thursday evening each week during Spring and Summer is when the competition is held, and Thursday just gone saw some very competitive games! On pitch 1, we saw BBR London take on Tumeke Mixed. With both teams bursting at the seams with international players, the game was less than ordinary! After a gruelling 40 minutes, it was BBR London who managed to come out on top, taking the win 10 touchdowns to 3. BBR London can’t celebrate too much though, as the games ahead will only get harder! Two other front runners for the gold, The Scorpions and Galaxy London Mixed also went head to head on Thursday. In what we can only call a Batman vs Superman battle, the score came out an even 10 all after the hardest 40 minutes of the day. With many of the Superleague teams also clubs who love to develop players, if you want to get involved in a higher level of touch, make sure to get in touch!